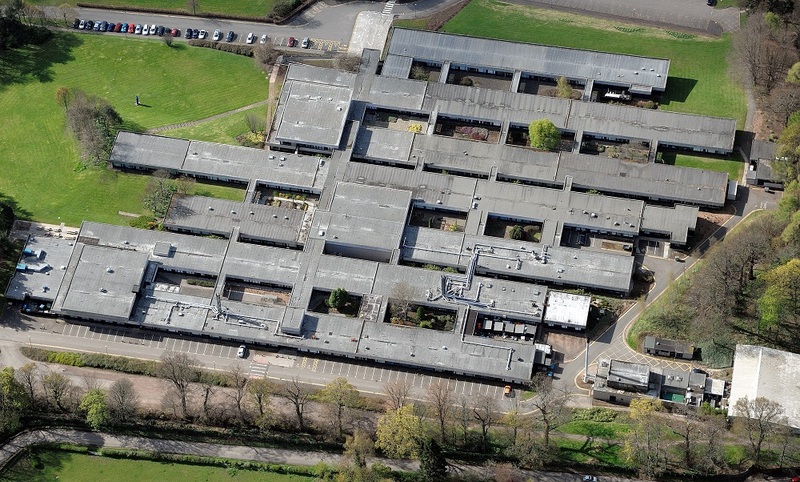 An outstanding example of post-war Modernist Scottish architecture, of international significance. 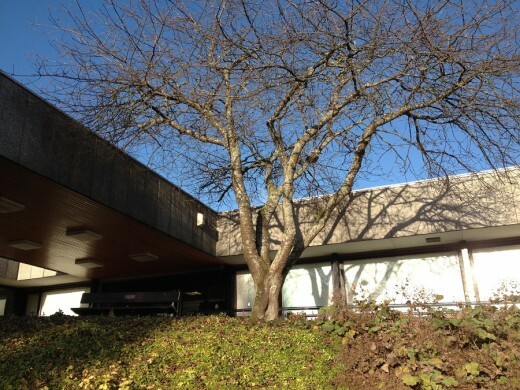 This is a 20th Century tertiary education building in a parkland landscape setting. A highly flexible plan form that influenced Norman Foster’s Willis Faber Dumas Building In Ipswich. The University was built around, and centred on Airthrey Loch. 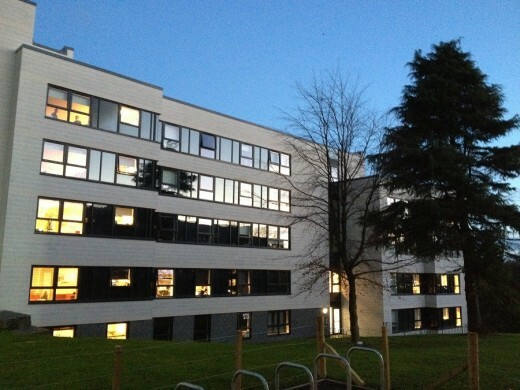 The Pathfoot Building is however located remotely to the west, by the campus entrance, apparently to reduce noise and disruption that would be created during construction of the central buildings. The residential buildings were located on the south-facing slopes, and the teaching buildings on the north-facing slope. 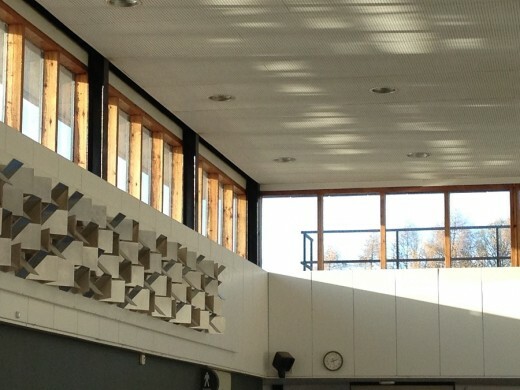 The fairly compact single-storey arrangement allowed flexibility for future changes of use. 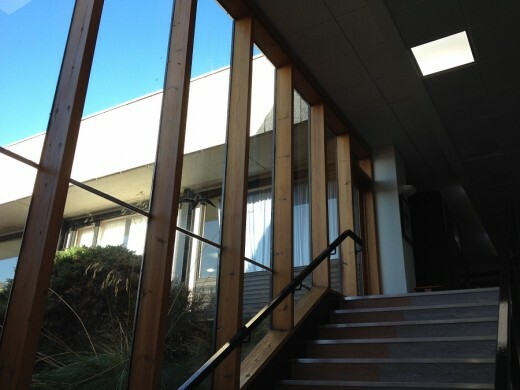 The courtyards provided natural daylight and ventilation to reach the thin strips of building. 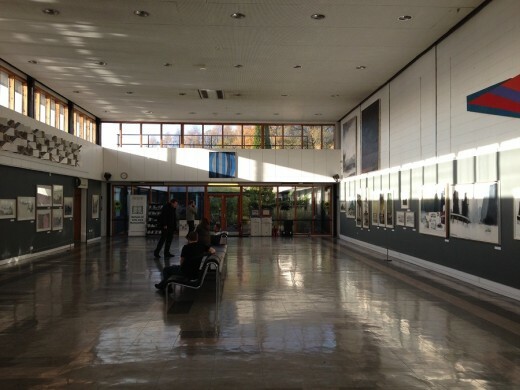 “With the proposed listing of a number of modernist buildings on the University campus, we were commissioned to write a conservation plan to aid the University in managing the proposed change in status and to propose a conservation framework for the site in the future. 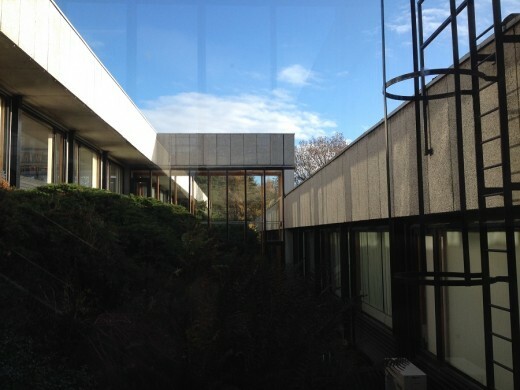 Often referred to as one of the most beautiful campuses in the UK, the former Airthrey Estate was developed in the late 1960s by the architects RMJM, with other notable contributions from Reiach and Hall and Morris and Steedman – three of Scotland’s most significant post-war modernist architecture practices. The University campus is recognised as a key development from that era – one which sits remarkably well with the surviving 18th century designed landscape and the Robert Adam designed Airthrey Castle. The building design was highly influenced by contemporary Danish architecture such as the Louisiana Museum of Modern Art designed by Jorgen Bo and Wilhelm Wohlert (with a strong relationship to nature) and the rational work of architect Arne Jacobsen . Prior to the completion of the final Development Plan at the UoS, the Interim Development Committee visited a total of ten universities in Winter 1967. The principal Tom Cottrell wrote a detailed report about the trip. John Richards from RMJM accompanied the Committee. The ten universities that the Committee visited were: Nottingham, Warwick, Oxford, Southampton, Sussex, Kent, Essex, East Anglia, York and Durham. This gave the Committee a variety of institutions from Ancient to Plate-glass, concentrating on the latter for closer comparison. The architect John Richards had an interest in the ‘traditional Oxford staircase layout’ of the Brasenose College accommodation blocks designed by architects Powell & Moya. John Richards made notes on the costs and standards of each university that was visited. 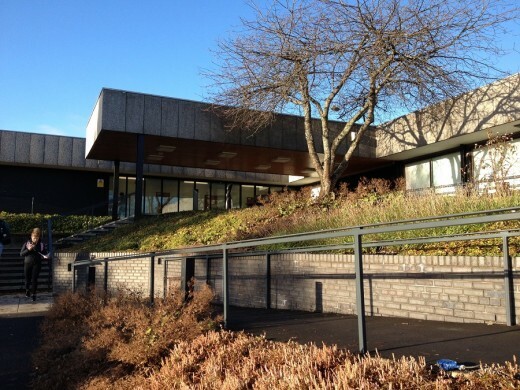 The Pathfoot Building design echoes the horizontality and simple concrete-panelled forms of the Royal Commonwealth Pool in Edinburgh. 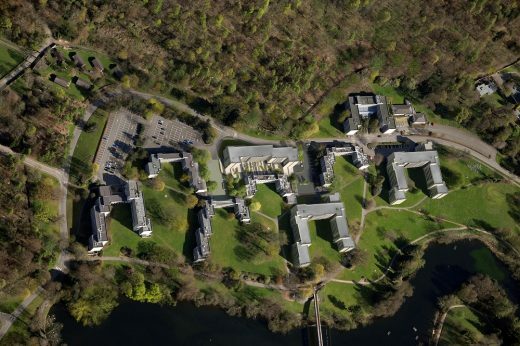 The decision in favour of locating a new university at Stirling was announced on the 17th July 1964. 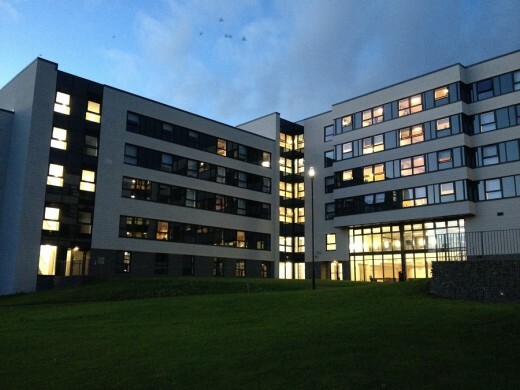 It was the only new non-urban campus in Scotland, joining seven new ones in England – East Anglia, Lancaster, York, Kent, Sussex, Warwick and Essex, following recommendations made by the seminal Robbins Report Higher Education of 1963. The university was originally referred to as a ‘plate glass university’ (rather than a ‘red brick university’), a phrase that was coined by Michael Beloff in his 1968 book of the same name. 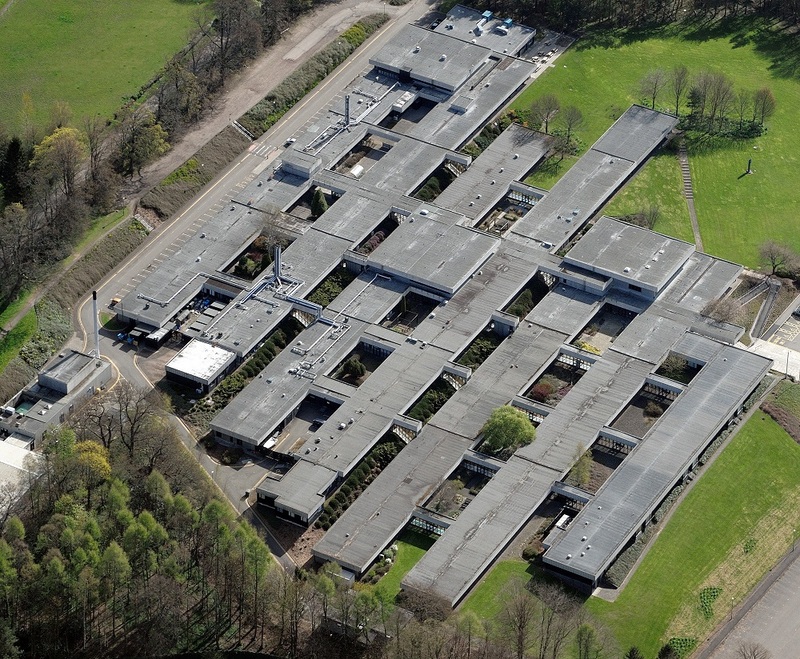 standardised prefabricated construction, constructed using the CLASP system. RCAHMS, Robert Matthew, Johnson-Marshall, drawings collection (2008).